Adventurous Learning interrogates the word ‘adventure’ and explores how elements of authenticity, agency, uncertainty and mastery can be incorporated into educational practices. 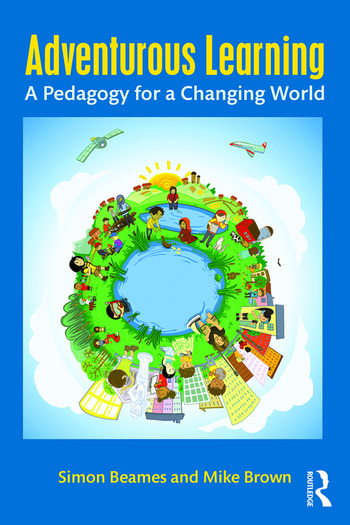 It outlines key elements for a pedagogy of adventurous learning and provides guidelines grounded in accessible theory. Teachers of all kinds can adapt these guidelines for indoor and outdoor teaching in their own culturally specific, place-responsive contexts, without any requirement to learn a new program or buy an educational gimmick. As forces of standardization and regulation continue to pervade educational systems across the globe, both teaching and learning have been starved of creativity, choice and ‘real world’ relevance. Many teachers are keen to improve their practice yet feel constrained by the institutional structures within which they work. By carefully examining adventure and its role in education, teachers can become better able to design and deliver engaging programmes that are underpinned by sound pedagogical principles, and which have deep and enduring meaning for their students. Simon Beames is a senior lecturer in Outdoor Learning at the University of Edinburgh, Scotland. Mike Brown is a senior lecturer in the Department of Sport and Leisure Studies, The University of Waikato, New Zealand.